Forgotten Existence: Time for plan B? Yes, but the problem is I don't have plan B. So last month was total failure! I had plans to do lots of hobbying and I managed to build 6 Space Hulk minis! 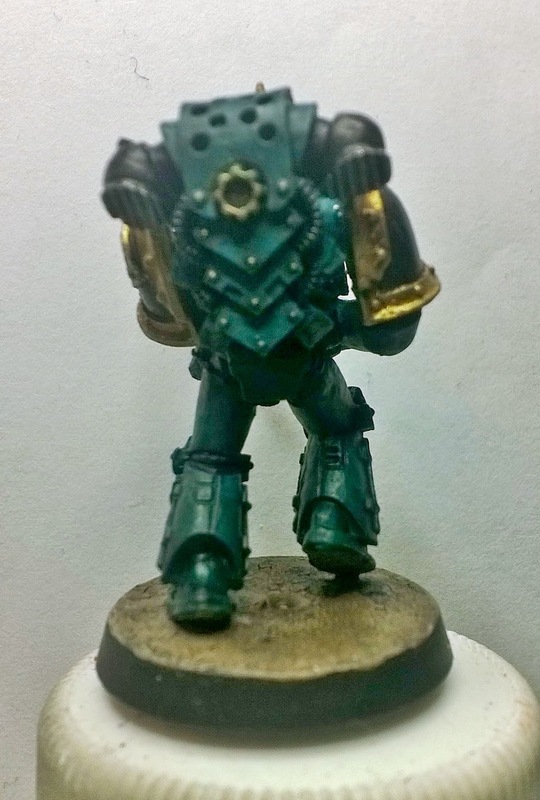 I couldn't finish my Castigator because of missing parts and it took one month from Forge World to reply for my missing parts enquiry. Good news is that I should receive the parts next week. Next week will be interesting. The tiles from Secret Weapon Miniatures kickstarter will arrive on Monday, finally! Of course there was a snafu with my order but I kinda expected that! And because the tiles will finally be here I can start building my gaming table. Nice! Oh, last month was not a total waste. 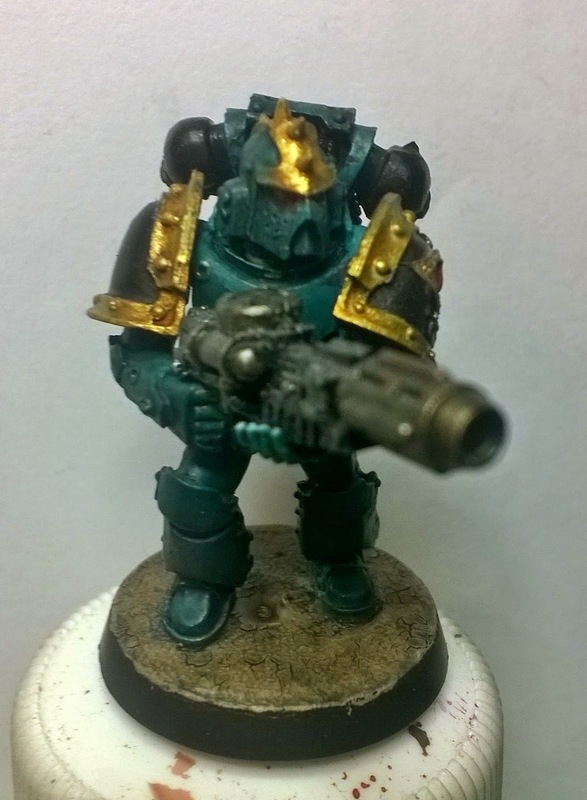 I managed to paint a new test mini for Sons of Horus army (yes I was going to sell it and start over but decided to give it a one more try) and I got very close to getting it where I would like it to go but then I ruined it with too many wash layers! 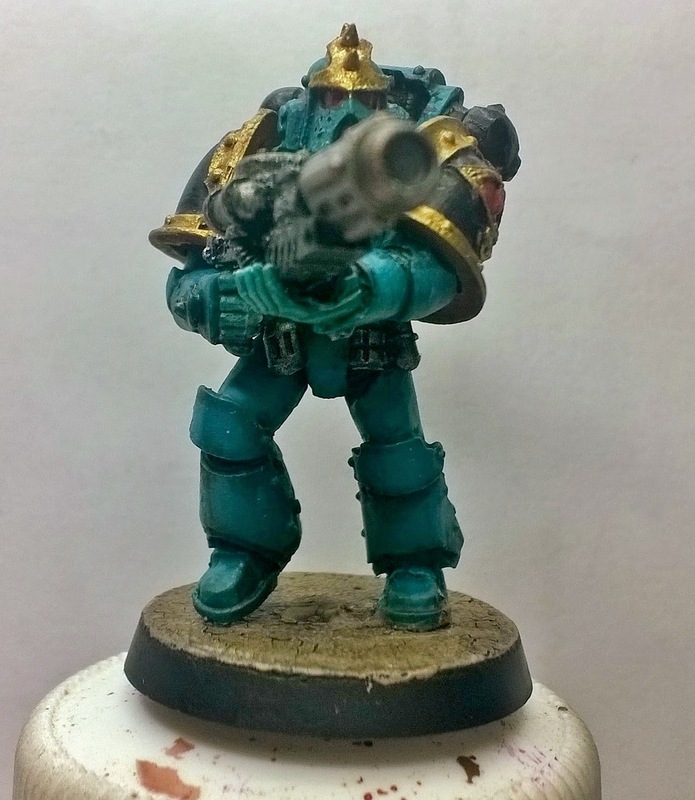 Next week I will have few more tests and if I manage to find a perfect scheme then I will start painting the army!